Pallister Park is uniquely designed. It is known locally as the 'leisure centre without a roof', reflecting the fact that the majority of activities take place outdoors. Pallister Park offers a wide variety of both indoor and outdoor activities and caters for a wide selection of the community. Located in the middle of the park is the park centre building. This offers a variety of activities for all age groups and abilities. We both welcome and encourage visits from external organisations including nursery and primary schools, disabled groups and local community groups. 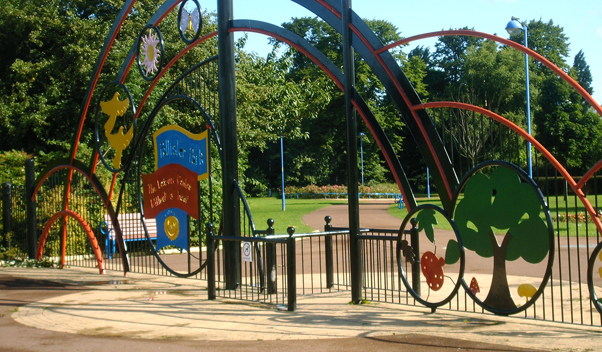 Pallister Park can offer the complete package to all who visit. Facilities include: five aside floodlit courts, basketball floodlit court, tennis floodlit court, bowling greens, 9 hole putting green, roller skating rink, play areas and a football pitch.